In years past we have typically emphasized our extraordinary fails (e.g. our 6500 gallon tanker trailer collapsing). Oddly enough this year, besides a stuck delivery truck or two, we didn’t really have any extraordinary equipment fails. Still, applying a little self-constructive criticism, there are certainly a couple intentions that we set out last year at this time that didn’t materialize. For one, we were hoping to make more use of our newly purchased custom soil mixer. While it certainly got some use pumping out some well-made soil blends, we were hoping to see it running a lot more than it did. 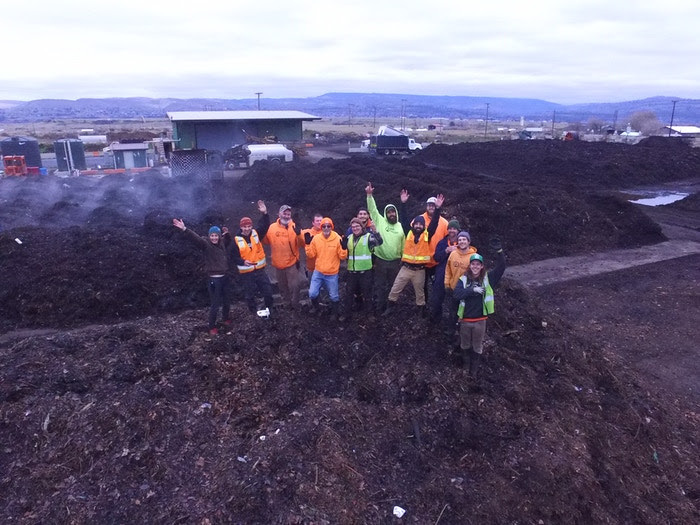 Similarly, we spent the spring of 2018 exploring models of how to better serve small to medium scale compost application market and purchased an invested in a Ecolawn Applicator. It’s a pretty slick little push unit that efficiently spreads compost. We love it. Again, this machine did get some use, but not as much as we would have liked to have seen. Maybe the spring of 2019 will give the Ecolawn applicator a warmer welcome, because it’s ready to spread some compost. Sometimes you punt and make good yardage and sometimes the ball falls out of the punter’s hands. On these two investments - the ball dribbled out of our hands. Team We are now 13 full-time huggers with one contractor. What's better is we now offer health care, dental, retirement, profit share and, of course, compost benefits. Building Up - Shop Most notably this year we built a new building that houses our shop plus seven offices. Prior to that we worked out of office trailers for over seven years. It's nice to finally have a space that isn't on wheels (shocking, we know). The best part about the new building is that it is heated entirely by our compost. 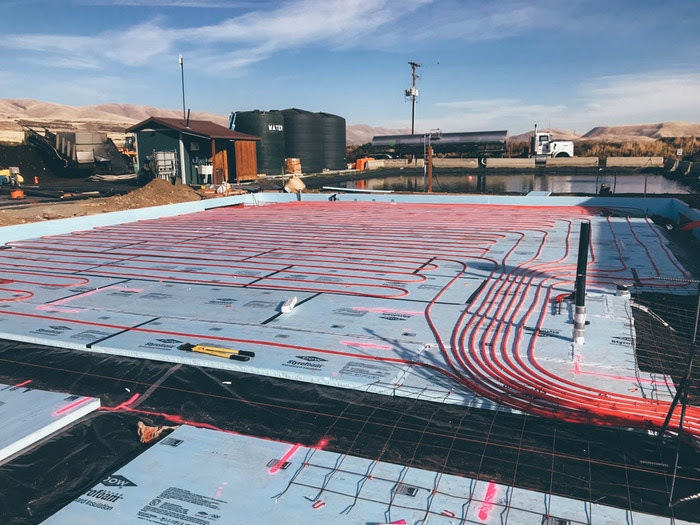 When we first built this site, with your support, we placed 5,000 feet of radiant Pex tubing into our primary composting pad. We are now using the heat collected from the Pex tubing to run into the concrete floors both upstairs and down of the building. We also cool the building with well water using the same tubing. It's been working well and it saves a boat load on heating cost. 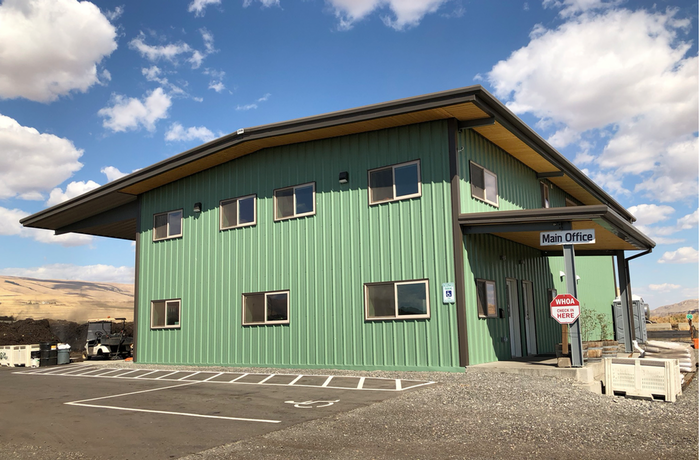 Biocycle recently ran anarticle on our heating system. Equipment We seem to love buying new equipment. We keep asking when we will be finished buying things and the answer seems to be never. In the past year we have purchased ("new-to-us") two larger front loaders, a soil mixer for custom blends, a compost turner, a truck and pup, an RTV, a shredder and a few other things. The result of all these purchases is that we can now process more efficiently while adding to our capabilities. 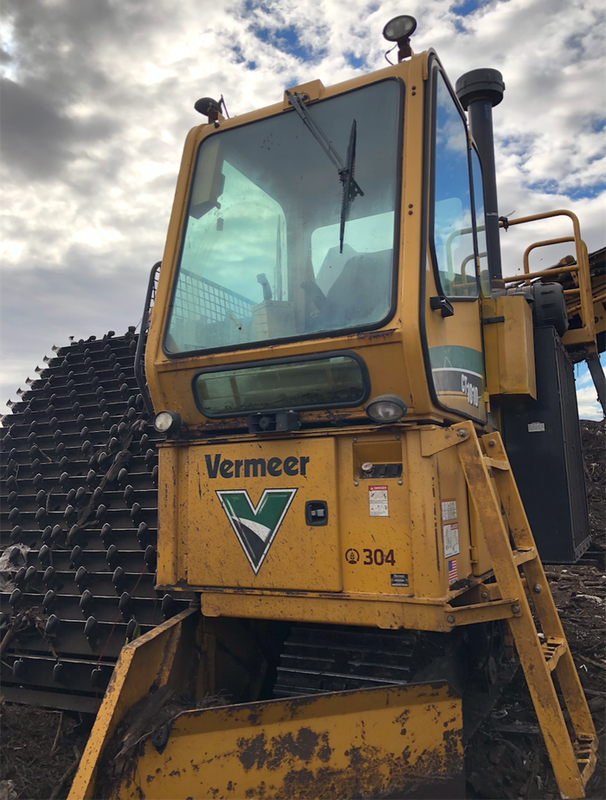 The soil mixer allows us to build better and more complex soils while the shredder allows us to process our own material instead of bringing in an outside contractor. Expanded Distribution Over the past year we have established some fantastic retailers in the Portland area. These relationships have allowed us to efficiently supply compost at a further distance to a larger customer base. Really, there’s nothing quite as beautiful as a truck and pup full of Dirt Hugger compost heading west down one of America’s grandest thoroughfares. We are in the permitting and planning phases for a large expansion on site. The expansion would take the facility from it's current 35,000 ton per year throughput to hopefully 100,000 tons per year. While we wouldn't build or fill the entire new capacity in one shot, we would start down that path towards building a bigger facility. The cool part is we are seeing demand both on the inbound feedstock side as well as from our compost customers. They say a picture is worth a thousand words, so here's 2,000 words worth. These two pictures were taken on Sept 27th, exactly a year apart. Our team did a photo hunt and noticed 20 major differences between the photos. How many can you identify?